The ancient Chinese secret to longevity and a stronger immune system is now available in an easy-to-swallow capsule from Life Extension. Reishi Extract has been used in Chinese medicine for centuries to boost the immune system and protect against dangerous free radical damage while providing antioxidant support to help you live a longer life. 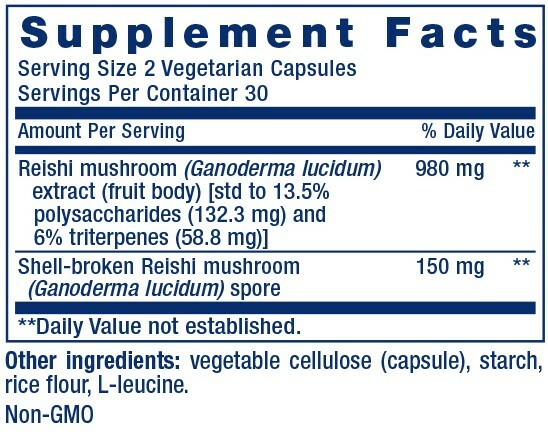 Unlike most mushroom formulas, Life Extension’s Reishi Extract features triterpenes and spores for maximum support of a healthy immune system so you can lead a stronger, healthier life.